Good breathing technique is crucial for voice control when singing and every self respecting singer should learn and master this technique. 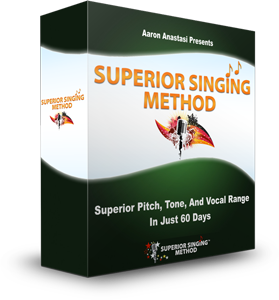 Singers will never be able to sing powerfully, sustain a tone gracefully and sing with passion without mastering good breath control technique. When you are drawing in breath for singing, breathe from the bottom of your lungs upwards. When good breathing technique is mastered, you will be able to feel the breath all around your lower abdomen, not just at the front. Your chest and shoulders may begin to lift as you draw in your breath but do not let them lift or else the singing voice will sound strained and tensed. The key to correct use of diaphragm and breath support muscles is the expansion of your lower abdomen when taking in your singing breath. You have to exercise and develop this technique until it comes naturally to you as a breathing habit even when you are breathing normally when not singing. As you are practicing your singing breath control technique, do take notice of how much noise you make when you draw your breath. This is because many singers believe that a noisy breath is a deep breath which is not true. When you breathe, take sips of air and not gulps. Silent quiet breathing should be the aim of a good breathing technique. Again, practice silent quiet breathing until the technique becomes ingrained into your natural singing habit. Noisy breathing is usually caused by a constricted throat and is an obvious indication of shallow breathing contrary to what many singers think. If you are afraid to expand your tummy when you are taking in your singing breath for fear of looking fat, this will lead to having tension in your tummy and your diaphragm with its breath support muscles will not be working at its peak as they ought to be. Most singers are not even aware that they are holding back all these tensions. One of the most important techniques for good singing is to relax so that you can achieve the so called ‘floating voice‘. With so much tension in the singing support system, the relaxed floating voice will be difficult, if not impossible to achieve. This tension is probably caused by years of stomach in-chest out posture inculcated since young. 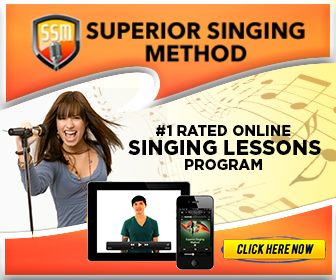 Now, let’s start with a vocal exercise to learn good singing breath control. Start with taking a few silent quiet breaths. As you draw in the air, expand your lower abdominal all around including the sides and the lower back. Make a mental note on how a quiet breath feels like. Next, release the air steadily and singing the vowel ‘Ahhh’ as you release the air with your tummy going back to its original position. Have you noticed that the vocal sound quality that you have just produced is steadier and has a floating tone attached to it? It must be emphasized that the amount of air required for good singing is actually very little and so a proper amount of air attached to a note should be just adequate.